Dandeli wildlife Sanctuary consists of about 14 Tigers, 45 Elephants, Number of Bisons, deer and bear, barking deer and many more. This attracts many tourists to visit Dandeli. 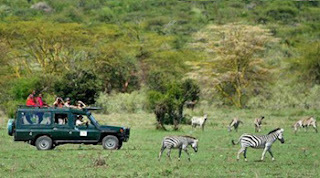 Jungle Safari is such an activity in which all the people of all the age groups can take part,.